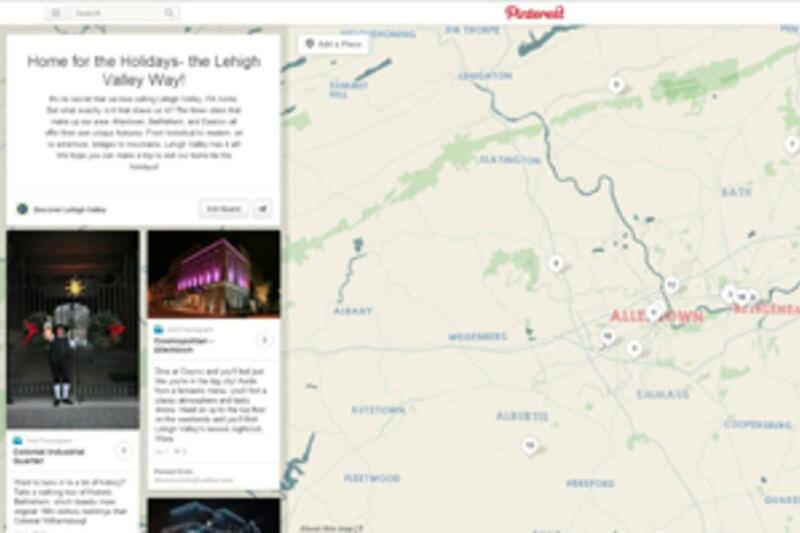 Home for the Holidays - the Lehigh Valley Way! This time of year, there&apos;s a ton of talk about heading home for the holidays. For us, home is right here in Lehigh Valley, PA.
We were inspired to share some highlights of what makes us love calling Lehigh Valley home when we saw a trend on Pinterest yesterday: #MyHometownPins. The premise of this idea was to generate a little travel inspiration by sharing what makes your hometown special through personal stories about your favorite places. Carson Kressley, an Allentown native, even took some time to build a board of all his favorite aspects of home! It&apos;s hard for us to pin down just one or two highlights when we&apos;re so lucky to have tons of fantastic attractions, restaurants and more- no matter what time of year! Historic Bethlehem Museums & Sites- Want to tune in to a bit of history? Take a walking tour of Historic Bethlehem, which boasts more original 18th century buildings than Colonial Williamsburg! Shankweiler&apos;s Drive-In Theatre- Movie buff? Then you have to check out Shankweiler&apos;s Drive-In, the oldest drive-in theatre in the country! We love to catch a double feature here in the summer months. The City Center arena project and Lehigh Valley Phantoms- Coming in Fall 2014, downtown Allentown will be home to a brand new hockey arena, hosting the Lehigh Valley Phantoms (a Philadelphia Flyers affiliate team). Adjacent to the arena will be a conference center and Renaissance Hotel. We&apos;re excited for these great new additions! The Crayola Experience- Renovated just this year, the Crayola Experience is home to more color than you can imagine! As tour the halls, you&apos;ll find tons of great activities for the young ones (and the young at heart). You might even get to try out some exclusive products on your visit! Of course, you&apos;ll need to check out the board to see all our favorites! We love that Pinterest allows you to map out the locations of each of your pin now, too. As you&apos;re relaxing over the holidays, take some time to follow us and scroll through all of our Pinterest boards and see what we have to offer!